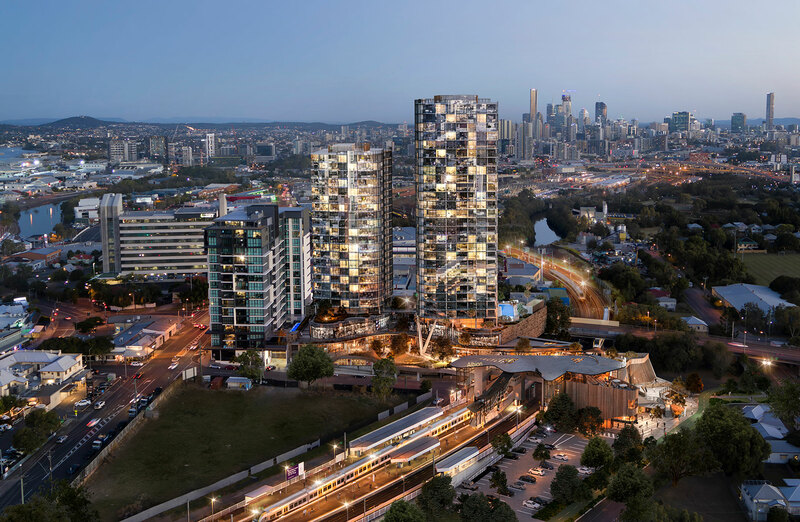 Brisbane-based developer Geon Property has lodged plans for stage one of the $750 million Albion Train Station precinct redevelopment. The project, dubbed Albion Exchange, is a ten-stage project set to be delivered over 15 years with community consultation on the future masterplan to commence shortly. The site has been earmarked for redevelopment for a number of years by the Queensland government as an opportunity to “improve connectivity and public transport facilities to better service the local community”. A $28.7 million upgrade of transport facilities and access to the Albion Train Station has also been tied into the proposal creating a genuine transit oriented development. Stage one will feature a new food and beverage destination, health and wellbeing offerings, and two new multi-level residential buildings over a commercial and retail podium. The first of the two residential buildings will reach 30-storeys and provide 203 apartments, while the second building will reach a height of 23-storeys with 130 apartments with a total gross floor area of 31,836 square metres. The 4,900sq m site sits immediately south and above the existing Albion Train Station, stretching as a spine from the Albion Overpass through to the former Albion Fire Station located on Merehaye Street. 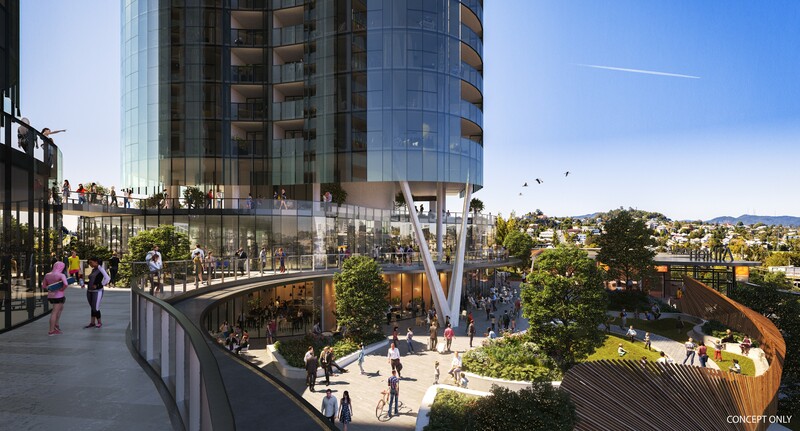 “Albion Exchange is set to become Brisbane’s latest mixed-use project and will create a vibrant community heart for the inner-northern suburbs,” Geon Property senior development manager Tim Rossberg said. Albion is currently one of Brisbane's fastest growing areas with the suburb’s population estimated to grow by more than 4000 residents by 2036. Community feedback sessions for stage one have been well attended, with the local community showing a high level of interest in the level of amenity and public space offered by Albion Exchange. “The size and quality of public amenity in our Stage One proposal will transform the inner-city transit node into a green public sanctuary, with a strong emphasis on community interaction and exchange, legibility and accessibility,” Rossberg said. The proposal also includes 4,900sq m of new green open space and a public plaza connecting the east and west of Albion Road as well as 573 car parks and 461 bicycle parks. The end of the city’s train line at Ferny Grove is also set for a major transport, retail and residential project. In Brisbane's CBD, Roma Street Station has also benefited from plans to create Brisbane Live! 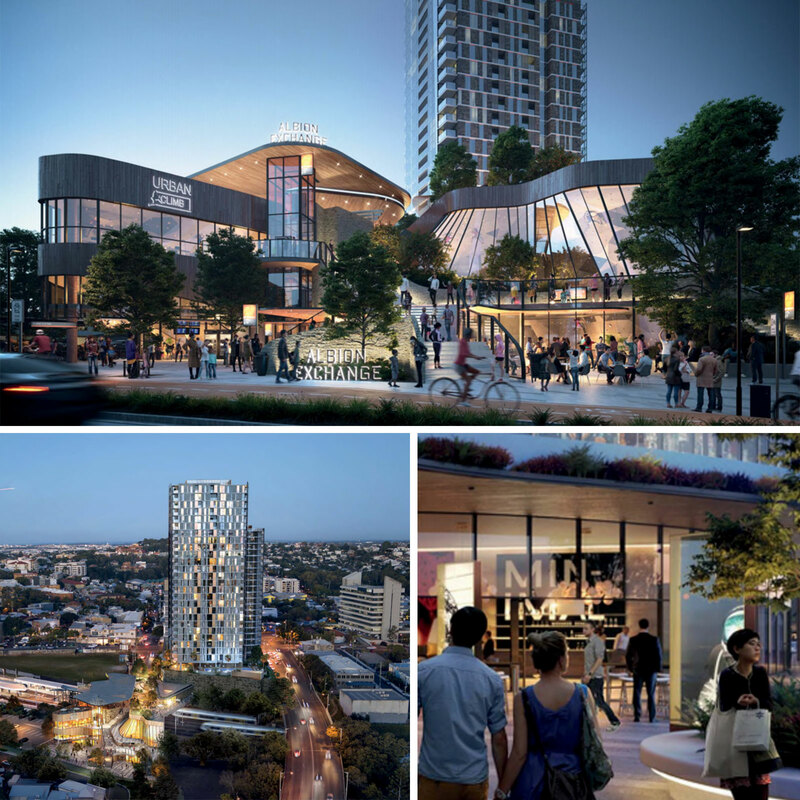 entertainment district, a 17,000-seat venue that will be built above the new Roma Street underground station. Construction for Albion Exchange will start in early 2020, subject to development approval.